We are definitely done with the elections in Kwara State. The people have decided through the polls by electing those to run affairs of the state for the next four years. With that comes the second process, which is governance. When election is over governing takes over. Constitutionally, the new administration in the state will take off May 29. But, before then the burnt bridges must be mended. There is no doubt that the pre-election process particularly the campaign has set the two major parties against each other; they acted like they were at war; there were pockets of electoral violence, campaign of calumny and propaganda were made to fly. Now, that the election is over, it is time to build bridges not walls. It is common knowledge that in every contest there will always be winners and losers. It is for this reason that the winners should show magnanimity in victory while those who lost out in the contest should accept outcome in good faith. The winners do not have to rub their victory in the faces of those who lost out in the election. There is no need to kick the loser while he is down. In the light of this, the news of the outbreak of violence in Oke-Apomu community in Ilorin, the Kwara State capital is disheartening. It was gathered that some suspected hoodlums under the guise of celebrating the All Progressive Congress (APC) victory in the state vandalised several belongings of innocent people. This is quite unfortunate. Celebration should be decorous. The winners and their supports should celebrate in humility. The contest was among brothers and not against aliens the reason all must embrace peace. By the way, the Kwara State Police Command must ensure thorough investigation of the matter with the aim of arresting and prosecuting those who perpetrated the dastardly act. Like the saying that when there is life there is hope, those who did not win should wait for future opportunities. They should leave behind them the rancour of the electioneering campaigns with the sole aim of moving the state forward. The candidates who lost out in the contest should be ready to congratulate the winners in genuine manner and lend support to the incoming new administration in the quest to take the state to higher pedestal. The interest of Kwarans must be paramount to them all. Everyone must work for a Kwara that will work for all. At this juncture, one must commend the Senate President and Leader of the state Peoples Democratic Party (PDP), Dr. Bukola Saraki for exhibiting spirit of sportsmanship by congratulating winners of the state and wishing them the best of luck. This shows great level of patriotism and statesmanship. 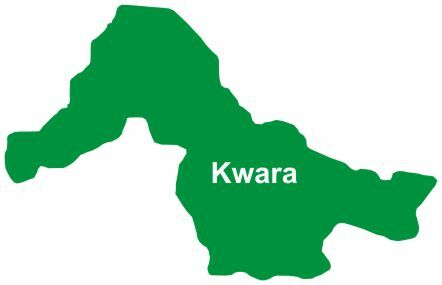 Kwarans should not allow party politics, to divide their ranks and people should try to maintain the peaceful co-existence, love and unity of purpose and reconciliation and live as one people with a common destiny. Every Kwarans should be congratulated for the victory. The victory is for everyone. To the Governor-elect, Alhaji Abdulrahman Abdulrasaq, while congratulating him on his victory, he must be reminded that the task ahead his onerous thus he should not continue to bask in the euphoria of his win. It is time to hit the ground running. Since good governance is about people-oriented, he must be ready to chart a course for better welfare of Kwarans irrespective of their social class in the society. He must be ready to settle down and plan on how to govern; work for the good of those who elected him into office. It is hope that the incoming Governor is not in the category of politicians who are more interested in winning election than in governance and so come into government unprepared, which is a major challenge of leadership. The Abdulrasaq administration should strive to strengthen unity and inclusiveness; he can also be magnanimous, by offering his opponents seats in his cabinet. May God grant you wisdom in discharging the important and responsible duties of your position. It is believed that the trust placed in him by the citizens will inspire him to continue important efforts in promoting the unity of the state, leading it on the path of prosperity.